If you have only a few teeth, or none at all, it might be time to consider dentures, artificial replacements for your teeth. It’s a big change, but one that you will adapt to quickly. In no time they will feel comfortable in your mouth and you’ll be able to eat the things you enjoy. Today’s technology allows you to have the same appearance as before you lost your teeth. There are two types of dentures: partial, and full or complete. We first make a model of your teeth by taking impressions. The model is sent to a lab where it is used to create custom-made dentures. 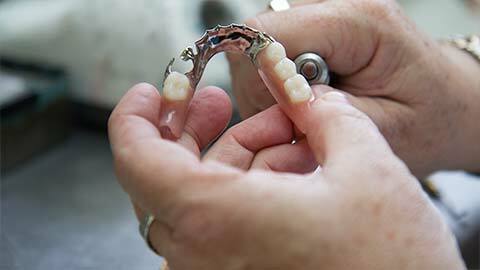 Partial dentures are used when only a few teeth are missing and nearby teeth are not strong enough to hold a bridge. One or more artificial teeth are held in place by clasps that fit onto nearby natural teeth. You can remove the partial denture yourself, for cleaning, and at night. 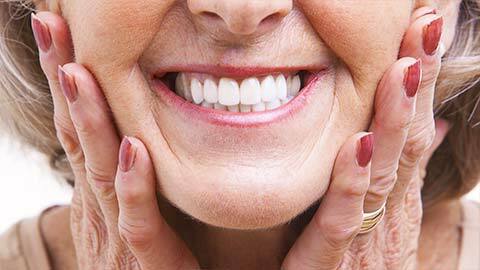 Full or complete dentures are used when all your teeth are missing. They are commonly known as “false teeth.” Full dentures are held in place by suction and are removable. Two types of complete dentures are common: immediate dentures made before your teeth are removed, and conventional dentures, made afterwards. Dentures, whether partial or full, have to be regularly cleaned well. For a long time denture-wearers weren’t able to speak properly, eat what they wanted, or to look the way they preferred. Because of changing technology these issues are gone. Talk to us at Redcliff to discuss the best course of action for you. If you need more information about Dentures in Redcliff, contact us today.